It’s been what seems like an eternity since Google stopped selling the Nexus One directly through google.com. Google struggled with support and logistics involved with selling a consumer electronic, and shelved the concept, instead offering its next Nexus device, the Nexus S, through retail partners. 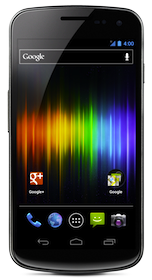 In a surprise move today, the search giant has resumed selling devices directly, this time with the Galaxy Nexus GSM/UMTS unlocked model. Voice calling requires a GSM cellular service provider. Wi-Fi use requires 802.11a/b/g/n access point (router). You can purchase the Galaxy Nexus directly from Google Play.